Have you ever played in a band? Tell us all about that experience of making music with friends. If you’ve never been in a band, imagine you’re forming a band with some good friends. What instrument do you play in the band and why? What sort of music will you play? I was in band from the 5th grade till I graduated from High School. I played the flute, did a brief foray with drums, then picked up the baritone saxophone when our base player moved away. Music was my life for a long time. Now, it’s just a hobby that due to digitization has turned into a bit of an obsession. Today, instead of playing music, I collect music. My portable hard drive is full and the hard drive of my secondary laptop is getting close to that as well. Thank goodness for taxes, so I can remedy that situation. I listen to everything from Marilyn Manson to Mozart. I own the discographies of bands some people have never even heard of. When a friend is looking for a song, they usually come to me. And, because I have an audio memory, I can usually tell them the title and artist based simply on a few lyrics. 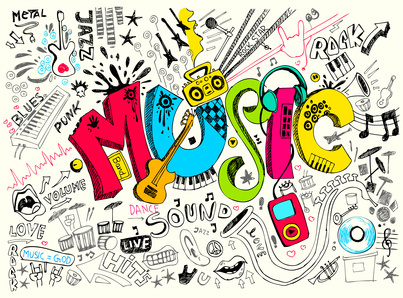 I love all those band movies, street dance movies, musicals and the like because they have the best soundtracks. I have to say, for an Action movie, Battleship had a pretty stellar soundtrack too. My most recent acquisition is the soundtrack for Street Dance and Street Dance 2. British movies about a group of street dance kids who are trying to make it to the finals and team up with some ballet dancers. I definitely won’t be hankering to see the movie again, but the soundtrack was great! If you’re in to interesting new tunes, you should check out Steam Powered Giraffe. They’re one of my top favorites right now.